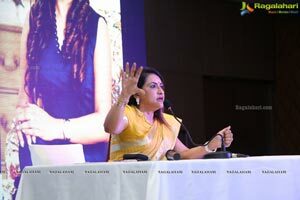 Born in 1960, academically brilliant, a 35 plus glorious track-record as lead designer, Beena Kannan has "been there and done that” in fashion apparels. 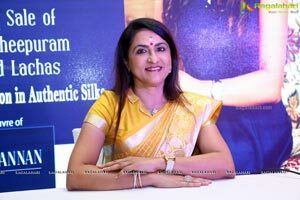 Her fabric forte is Kancheepuram Silk and arguably, Beena is India’s pioneer in creating designer Kancheepuram sarees and apparels. 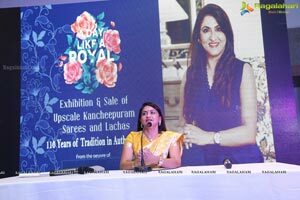 Ever since the last 35 years, she has been launching at least one line of designer Kancheepuram apparel every year, based out of Kochi, Kerala. 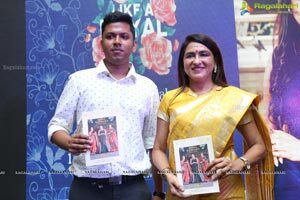 Gifted with a high degree of aesthetic sensibility in fabric, colour, designs, patterns and embroidery, Beena Kannan’s achievements, contributions, and coveted awards are endless to recount. As an instance, she was awarded “Lifetime achievement award for her seminal contributions” by the Erode-Coimbatore Weavers’ Co-operative in 2009. 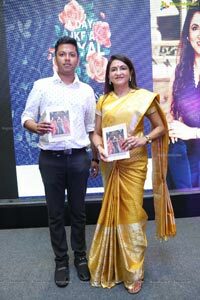 Widely traveled across India and abroad, Beena has her tab on trends and traditions like no other. With a family tradition of 109 years in textiles, it was only natural for her to evolve into the quintessential designer that she has turned out to be. 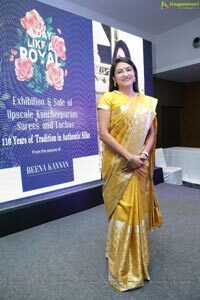 Beena’s aesthetics is deeply entrenched in Indian heritage & traditions. She creatively tweaks her sensibilities to match the needs of the millennial brides and fashionistas. Her bridals and occasion-specific collections have sashayed the elegant ramps across India and abroad since 2005. Her repertoire comprises of bridal fashion that resonates international sensibilities. Being versatile and flexible, her ensemble often extends from a quiet palette to various shades of styles depending on the requirements. “Trenditional” just about sums up Beena Kannan’s body of work. 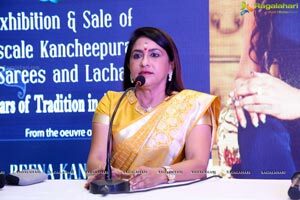 Beena Kannan’s presentation to be showcased at Hyderabad, Vijayawada and Vishakhapatnam focusses on a whole new array of Kancheepuram Sarees and apparels, lehengas, gowns, lachas, anarkalis and jackets. The overriding theme of the creations is “Sheesh Mahal” influenced by Turkish sensibilies, Royal & Jewellery theme and Jamawar, Mughal and Floral traditions. The apparels are royal themed fit for the queen in every woman. A plethora of creations in antique Jari, golden & silver Jari, Tissue Shimmer Sarees, Jamawar designer sarees etc. 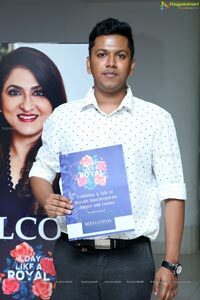 are being showcased in pastel shades, dark maroons, bright pinks, reds and greens. 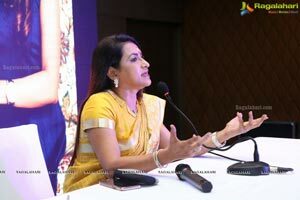 Beena Kannan’s designs target the queenly aspect in every woman. 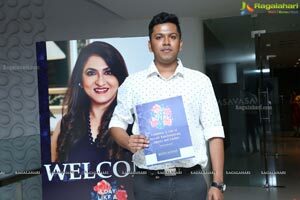 The Bridal Couture on display at Hyatt Place Hyderabad on 1st, 2nd & 3rd February focus on traditional Kancheepuram embellished with highly intricate embroidery, mirror-work, beads etc., recreating a rich heritage tweaked for contemporary tastes. 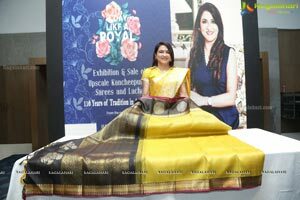 The exhibition & sale of Beena’s creations would be showcased at the Gateway Hotel, Vijayawada on 8th, 9th & 10th February and also at The Gateway Hotel, Vishakhapatnam on 15th, 16th and 17th February. 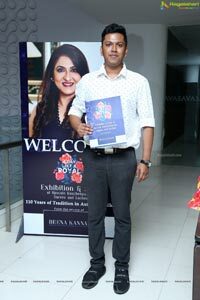 Beena Kannan’s oeuvre at Hyderabad, Vijayawada and Vishakhapatnam would be exciting and exhilarating to say the least. 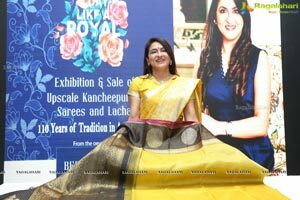 She hopes her creations would appeal to the fashion conscious citizens of Hyderabad, Vijayawada and Vishakhapatnam.